I hope you enjoy reading about today's Hometown Tour brought to you by Stacey. Her profile can be found at the bottom of the post. Helena is a booming little city in the heart of Alabama, loaded with charm. The growth that has taken place over the past few years, and continues to spread has not robbed our town of its quaint beauty and character. The waterfall, located in Old Town, is somewhat of a trademark. The historic atmosphere of Old Town is an inviting place to walk, shop or eat. One may even wish to jump into the water and let the falls wash over them! During the summer there are movies in Amphitheater Park on Friday nights. The Farmer's Market is held on Saturday mornings where fresh local produce, baked goods and homemade items are sold, and local chefs put on demonstrations. Despite the southern warmth that can sometimes be, well - hot!, we love to get outside and play. A great boundless play area has been recently added at Joe Tucker Park. This particular area allows access for wheelchairs and can be enjoyed by more children. Hiking, canoeing, fishing, biking...oh, yeah - there is a new pedestrian tunnel under construction linking the walking trails to give walkers the liberty to enjoy the city without motor traffic. Helena has its own Fourth of July Celebration, complete with barbecue, games, music and fireworks. Then there is the Buck Creek Festival in the spring and the Christmas Parade that also bring citizens together for fun in December. There are plenty of city sports leagues as well as school activities. Speaking of schools, our latest addition is the middle school. As Helena has grown, the student population has naturally exploded. In 2001 the sweet little elementary school divided its grade levels and the Intermediate School was built. The Middle School just finished its first year of operation...and some of us have hopes that the high school will come soon. Meanwhile the high school students still join nearby Panthers at Pelham High School. Of course we are proud to be the hometown of 2002 gold medalist winner of the Winter Olympic Games, Vonetta Flowers. Mrs. Flowers was the first African American, and also the first Alabamian, to win a gold medal in the winter games. Also from Helena are 2005 American Idol, Bo Bice and 2009 Miss Alabama Liz Cochran. (voted: top 100 places to live in the US, by Money magazine - 2007)! ~gift shop "The Monkey Basket"
Thanks for going on my little tour! I am looking forward to hearing about YOUR hometown. Hi! My name is Stacey Sickmiller. I am wife to Mark and mom to three. We, along with our two dogs, live in Helena behind a picket fence where the sun always shines. (Well, most of that is true - there is actually no picket fence and sometimes we have tornadoes.) I am working toward a teaching degree with which I want to teach elementary school students. This all keeps me busy, to say the least. I enjoy spending time with my family. My favorite things are: dates with my husband, listening to my children play musical instruments, reading, taking leisurely walks and getting coffee with a friend. Somewhere in there I blog at Stacey~Stace. I blog about all sorts of things but my main goal is to give glory to God for His gracious acts in my life. Because I often focus on His blessings it may seem that I am a hopeless "Pollyanna". The truth is that I am a broken sinner who has come to know the redemptive grace of God and the peace of His forgiveness. Therefore, I like to share these things. Additionally, anytime I can get away with it, I talk about my family, give updates about what's going on with us and even post a few pictures. The kids aren't crazy about that, though, so I have to be careful! Morgan Creek - Looking for July 4th Plans? One of our favorite discoveries here in the Birmingham area is Morgan Creek Winery out in Harpersville. I told you about it last year here and each summer Morgan Creek hosts an outdoor concert with fireworks once a month, from May through September. We’ve been several times over the last couple of years and always enjoy it. A nice way to spend a summer evening, under the stars, with a picnic dinner and fireworks top off the finale. So, on a recent June evening, we once again headed to the winery, picnic basket and chairs in hand. They have a nice open field that is perfect for gathering and a stage for the live music. Each month, there’s a different performer taking the stage. And the wine tasting tent is ready for tasters. We love to sample the muscadine wines that they are known for. Sweet and delicious, we already know our favorite is Carlos. I've mentioned before that we are not big drinkers at all and don't keep it at home, but when we come here, we enjoy sipping the muscadine wines. This is a family owned business and they live right on the property. Oakleaf hydrangeas are blooming prolifically right now and make a great flower arrangement. Check out the use of burlap on their tables. Muscadine wines waiting to be poured. They have mostly sweeter wines, but a few of them are on the dry side. They also do a couple of blueberry wines. More burlap. We enjoyed the tasting and got our favorite, Carlos, to enjoy with dinner. Light and refreshing. Mix garlic, salt, pepper & vinegar in salad bowl until salt dissolves; whisk in oil and basil. Add chicken, pasta, peppers & olives. Toss to coat. Cover and marinate at room temp 1 hour or chill overnight. Serve at room temp. I didn’t use quite a 1/2 cup on the mayo or sugar for one bag but you might need that much if you use more, don’t like a lot of mayo on salads like this. I just spooned it out & added some sugar and the TBL vinegar. Mix well with a whisk and toss to coat & mix. And this little sweetie was SO cute. She was 3 years old and was having a ball running around with all the other little kids playing on the lawn. She came over and talked to us a few times. It’s a great place to bring kids too and there were many families there enjoying the evening. Around 9:00, the fireworks start and they put on a nice little show. A fun summer evening. You can check their website for all the information, but the events are from 6-9 pm every month. Next one will be THIS UPCOMING SATURDAY, July 4th. This post was originally published on June 20, 2009 at Southern Hospitality. This post was written by Kathryn Lang from Successful Freelance Writing. She will have a weekly column here called "Growing Your Platform", which will include tips on blogging, making money through blogging, and many other topics. Consistency is always a good thing and it is one of the most important keys to success in what ever you are attempting to accomplish in your life right now. It is not always easy to get into the good habits that help create a better life or a better career, but it is possible. Getting into a regular groove with your blogging posts will help you make blogging a consistent part of your writing and those good habits can be started by following just a few simple tips. 1. Set up a schedule – Monday Musings for rants or random thoughts. Tactless Tuesday for those news stories that are too bad not to be shared. 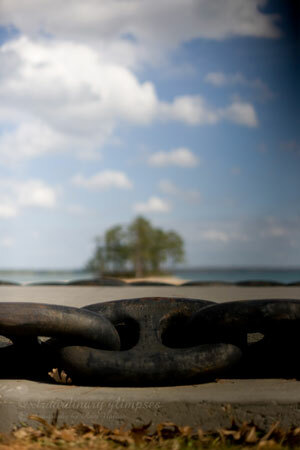 Wordless Wednesdays for great photos and on. Knowing what you will be writing about will help you get the blog post done. 2. Make an appearance – guest blogging regularly on other sites will push you to get your own writing done (so there is something to link to). 3. Build up a reserve – if you can pre-post on your blog then do that but otherwise have a reserve of general posts that you can put on the blog for those days when the muse refuses to dance. 4. Write one long article with multiple points each month and then plan all your other articles around that one. 5. Use holidays, special events and regular meetings to create blog posts. Attending the local council meeting or creating a post for Father’s Day can be great inspiration for blog posts. Any action must be done repeatedly before it becomes a habit. Making blogging a natural part of your day or your writing career can be accomplished by following a few easy tips. Get started today and stay consistent in your blogging so that you can be successful at your goals. For more information about becoming consistent in your blogging visit Successful Freelance Writer. Kathryn's reason for blogging is to help others fulfill their passions and dreams as she has been able to do by being a freelance writer. She has written an E-book called "Make Money Writing" to help achieve this goal. 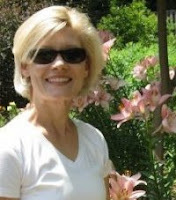 She is also a Christian, a wife, and a homeschooling mom of boys. A Neighborhood Mystery is Afoot. . .
NO, not all the dirt and grime on our mailbox. That's always been there and has no projection of being removed any time soon. A raised, green reflective dot, about the size of a quarter, had suddenly appeared. Why? Who decided that I needed a reflective dot on my mailbox? Isn't it a federal crime to mess with mail or MAIL CONTAINERS? So I started looking around. Across the street: Freddy and Christie had the very same dot. 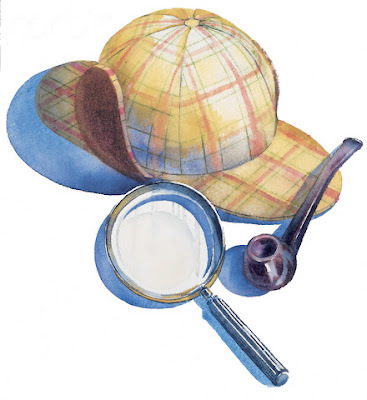 I widened my investigation. Next door: They had a RED dot!!!! In fact, upon further investigation, most of our neighbors had the RED dot. But then, some neighbors had no dot at all (for instance, Alice had NO dot, which assuaged my fears that they were marking bloggers). 33.65% of mailboxes had no dot . 64.35% of mailboxes had red dots. In the whole neighborhood, there were only two houses with green dots. Ours and Freddy and Christie's. I am quite puzzled as to the meaning of these dots. Are we marked for execution? Or are all the red dots marked for execution and we're marked to be spared? Someone is going through and marking the excellent neighbors (green), the bad neighbors (red) and the neutral or hermit neighbors (no dot). We are being classified and a neighborhood caste system is being created. Which means, of course, that we are at the top echelon of neighborhood caste society. YESSSS. The man with 200 white homing pigeons in his backyard (housed in 6 huge birdhouses) = non-annex material. The people with the skateboard park in their backyard = non-annex material. Freddy and Christie, with their immaculate yard, house, and fence = annex material. But then again, we have a green dot. So I guess that blows that theory. Or better yet, has anyone else had any mysterious mailbox dottage happen in your neighborhood? I do not have what you would call a sweet tooth. 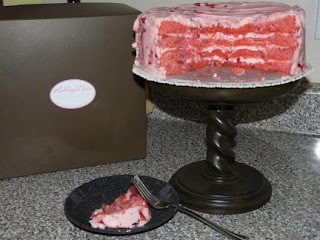 But I have a "thing" with Ashley Mac's strawberry cake. Actually, I like to think of it more as a relationship. I was turned onto the sugary confection over a year ago by a woman at the Bluff Park Post Office. Funny how you remember the first meeting of your true love. We got to talking about food (it was lunch time) and she said, "Whatever you do, you MUST go across the street in to Ashley's Macs for dessert. Their strawberry cake is the best!" She then went into the back and brought out her own slice of cake. As mentioned before, I am not one that is a big fan of desserts, only on occasion for me...but upon one look at the cake-she sold me -and the cake. So over to Ashley Macs I went. I ordered a slice of strawberry cake. When I received it, it was cold-right out of the icebox. I love cake that way! One bite----true love. Be still my beating heart. I am in love-with a dessert. If you have not been to Ashley Mac's, you are really missing out. Besides the worlds-uh-universe's best cake, they also offers boxed lunches and to-go dinners that you can pick up at Ashley Mac's locations. Drop in and take a look inside the frozen casserole case and check out the meals and side dishes for a quick supper. Ashley Mac's is an ideal choice for catered events, such as corporate functions, weddings, parties or showers. One look at the web site, and you will see the possibilities are endless. If you do not live close enough to drive to Ashley Macs for a sweet treat, well, then, I feel for you. But there is hope in the form of chocolate. Ashley Mac's is now shipping their homemade brownies, delivered right to your door-anywhere in the USA. And right now, for one lucky Alabama Blogger reader, Ashley Macs has agreed to ship a batch of her homemade brownies to you for free! All you have to do is comment on this post by Monday, July 6th. One winner will be chosen randomly and announced here on July 7th. Yes, you can have your cake and eat it too. You'll be thanking me. I will take the appreciation in the form of cake, thank you very much! Ashley Mac's, what more can I say? But Yum! Hayden is a small town just 30 miles north of Birmingham. 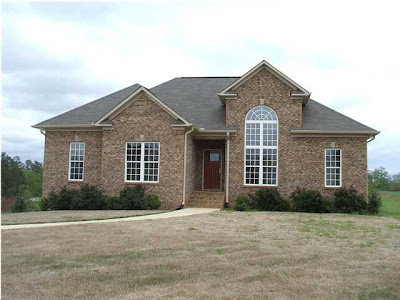 If you are looking for country living, this is the place to be! Hayden is located in Blount County. Known as Rockland it was renamed Hayden after Major Hayden, a south Alabama native that came to live here before the Civil War. It was renamed in 1914 when the L & N Railroad was built. There is no industry in Hayden, but it is growing every day. In recent years there have been flurry of new neighborhoods popping up. Some of the most beautiful homes you have seen are being built in this little community. Some of the new neighborhoods are Indian Hills, Willow Parc, Green Meadows, Chesapeake Hills, Haley Hills, Misty Acres and Magnolia Downs. Now I know I have left a few out. All of the schools in Hayden are new. They have a primary, elementary, middle and highschool. Hayden Primary are grades K – 2, Elementary 3 – 4, Middle 5 – 7 and High school is 8 – 12. Let me tell you these are great schools. Their mascot is the Wildcat and the students have a variety of different classes they can choose as electives. At first glance after exiting I-65 it doesn’t look like much to do at all. But there are several local activities that you would never know were here. There are Fortner Farms and Grace Farms where you can go pick your own produce and they have anything you can think of. For golf lovers there is Plantation Golf Club. They are open 7 days a week, and not only can you enjoy a game of golf, but they also have special events that can be held there. Check out their website to see their beautiful grounds. There are even more surprises in Hayden. Rickwood Caverns hosts all kinds of events that you and your family can enjoy. 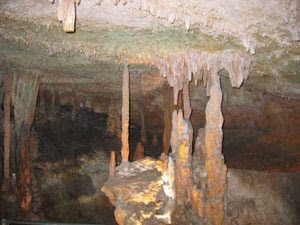 Activities include cave tours, camping and swimming. This is the perfect place for a day of family fun. Other activities are the Acoustic Cafe – Live Music On The Mountain. They host special musical events. It’s an outdoor amphitheatre. I have never been myself but I hear a lot of people say they have had a good time there. They also have campsites and hiking trails. Do your kids enjoy animals? If so, they will have a blast at Sharitt Petting Farm. They have summer day camps that include horse riding lessons, trail rides, arts and crafts. They also provide birthday parties and family reunions. Hop over and take a look at all of their animals and different activities. So while Hayden is considered a “bedroom” community, there is a lot to do. It has many hidden jewels that you as a family can enjoy. Although I don’t live there now, I did spend a good amount of my summers there. Right now everyone in my family except for my sister and I live there. It is really quiet and a great place to sit on the front porch swing and enjoy nature. 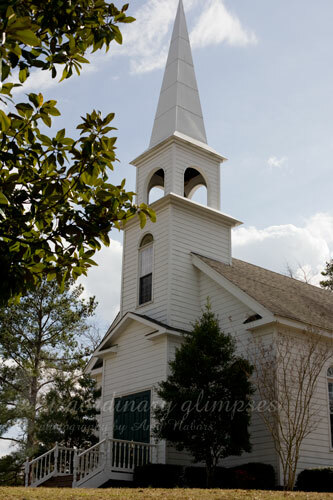 Drive down Alabama Hwy 63 across the Kowlagia Bridge and you will see a little lighthouse and white chapel along the shores of Lake Martin. You've arrived at the Lake Martin campus of Children's Harbor. I never tire of seeing Children's Harbor. 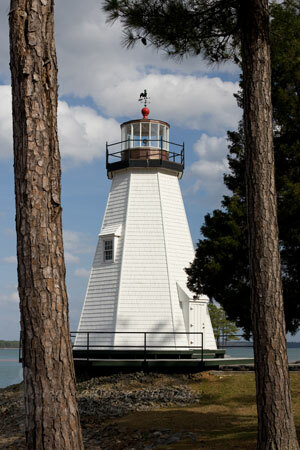 The lighthouse somehow brings a bit of magic to Lake Martin. The magic really though is in what Children's Harbor brings to so many hurting families in our state. Families with seriously ill children. In 1987 Ben and Luanne Russell dreamed of building a place for seriously ill children and their families on Lake Martin. With the dedication ceremonies of Children's Harbor in 1990 their dream became reality. The mission of Children's Harbor, a not-for-profit organization, is simple: strengthening children and families. 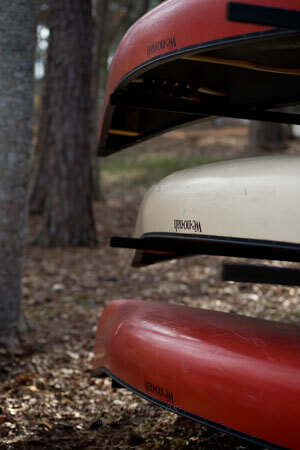 The Lake Martin campus of Children's Harbor provides camping, retreat and adventure services to children with long-term serious illnesses and their families. The lighthouse, a replica of Plymouth Lighthouse, is the icon of Children's Harbor symbolizing their goal of helping children and their families find their way through the difficult waters of serious illness. Camp Smile-a-Mile makes its permanent home at Children's Harbor. Camp Smile-a-Mile is a camp for children who have or have had cancer. I know of children who look forward to Camp SAM each year, to feel just like everyone else for that one week. I can't imagine going through such a difficult experience as these families. Children's Harbor is also host to the Magic Moments Family Camp each Memorial Day weekend. I've had the opportunity to help serve meals to the families that have attended the Magic Moments Family Camp and am reminded how much I take for granted. Other camps are held there as well such as Camp Bridges for children who have had various organ transplants. For the past couple of years I have looked forward to a newer tradition at Children's Harbor. Art on the Lake is held at Children's Harbor the Saturday of Memorial Day weekend. It features local and regional artists of all sorts and a percentage of their sales go to benefit Children's Harbor. Children's Harbor also provides a Family Center in Birmingham where counseling, social work, education and support services are given to these children and their families. The Family Center is a joint effort with Children's Hospital of Alabama. 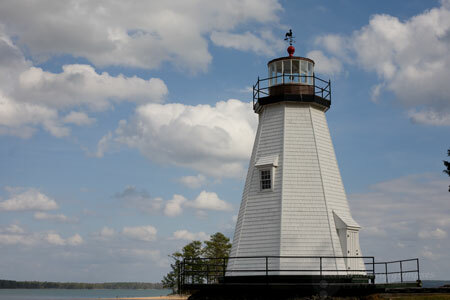 So if you happen to be driving across Lake Martin and see the beautiful lighthouse, remember what a wonderful place it is and how it helps so many families in our state. Who Went To City Stages? I hope a lot of you had a GREAT time at City Stages this past weekend! My husband and I have only attended once several years ago and LOVED it, but have never seemed to be able to make it back - something is always going on that keeps us from going. If you didn't make it either, I know that Matt at the al.com blog has done a great job covering it - be sure to check it out! But if you DID go, let's hear about it!! Comment in your opinions and favorite parts, or linky up your post if you wrote about it! This post was written by Kathryn Lang from Successful Freelance Writing. Her reason for her blog is to help others fulfill their passions and dreams as she has been able to do by being a freelance writer. She has written an E-book called "Make Money Writing" to help achieve this goal. She is also a Christian, a wife, and a homeschooling mom of boys. This year was a new experience for me. Every year I go down expecting to learn something or meet someone. This year I spent the two hours driving down to Tuscaloosa repeating the speech I was scheduled to give during the first session. Once my stomach settled down – AFTER I finished speaking – then I was able to settle in and learn some new things, visit with some old friends and make new friends. • Greg Daniels of the Daniel Literary Group discussed “Finding and Working with a Literary Agent.” One of his key points was that all writers need to build a platform. Blogging is one of the aspects of that platform so each of you is well on your way. • Cec Murphey was a keynote speaker but also presented a session concerning the relationship between writers and editors. He wanted us to understand that editors are in the business of making writers look their best AND that writers need to be in the business of putting forward their best before the editors even get to it. • Vanessa Davis Griggs was the second keynote speaker and I believe everyone in the room walked away motivated to take on their purpose. She definitely got me energized to pursue those things that I am certain of regardless of circumstances. • Carol Evans is the Editor of Birmingham Parent and she presented a session on “Writing for Parenting Publications.” She emphasized the importance of grabbing the attention of the editors from the subject line and carrying that through the query and manuscript. The experiences that I gained at the Southern Christian Writers Conference were not limited to the many sessions that were available. I expand on what I learned in my post about what you can learn at writers conferences. The thing to remember is that conferences, workshops, classes and even other blogs are all tools to help you better your writing skills and expand your writing opportunities. I just added a new feature at the top left on the sidebar of important links - this will continue to grow, but the basic idea is to provide new readers links to understand the purpose of Alabama Bloggers, introduce themselves, know how they can contribute, and be able to access helpful posts. Provide a centralized meeting place for all Alabama Bloggers. Provide an outlet to sample other local bloggers' work and make new blogging friends. Provide helpful and important information about Alabama cities, attractions, dining, entertainment, and tourist locales. Provide a place to disseminate information to all Alabama Bloggers at once (announcements, upcoming events, etc). To make this vision come to fruition, it will take everyone's involvement, ideas, and writing. It has been so exciting to see how many new bloggers have already stepped forward to participate! I am really enjoying getting all of your ideas and contributions. Please keep them coming!! And if you haven't contributed yet but would like to, by all means email me at rachel@alabamabloggers.com! You can read here for more information on what to contribute and how. Thanks, everyone, for making this site a success! First of all, if you came to our meet-up yesterday, don't forget to link up on that post so that we can all find each other!! And if you didn't, be sure to read the post so that you can be intensely jealous of our good time. Alabama Bloggers First Meet-Up = Success! We joked a lot about it being a half "Techy" guys and half "Mommy Blogger" girls (although some of us girls avoid that stereotype...). There was a cluster of girls at one end of the table, a cluster of guys at the other end, and then there was the middle: those of us who were OKAY with talking to BOTH sides of our super-segregated table. Okay, we were all okay with talking to each other, but it WAS a pretty junior-highish seating arrangement. Despite the fact that I had never met a single one of these people in person before, it was a ton of laughs and GREAT visiting. We will definitely plan another one soon! So, if you were there today, please link up below so that we can all find each other. Feel free to link in your blog, your twitter, or both. Or your 26 blogs and 58 twitter accounts each like Daniel and Wade have, feel free to link them ALL in. I don't care - just link up! A lot of stuff happens every four years. The Olympics, the Presidential Election, and I have to get my driver's license renewed. I actually just now realized that it fell on the same four year schedule as the previous two things - maybe that will help me remember next go-round. Anyway, so Ali and I headed to the lovely boutique known as the Alabama Department of Transportation (ALDOT) today. We get in line, and as we're standing there, I see a sign that says "no debit or credit - only cash or checks". BUT the window right next to that one had the Visa/Mastercard sticker. I ponder this for a few minutes, knowing that I don't have a check or enough cash to get my DL. I finally realize that apparently if you're getting your TAG renewed, they take plastic. But if you're getting your Plastic renewed (aka Driver's License), they don't. Go figure. So Ali and I get out of line, stroll across the parking lot to the Post Office, buy enough stamps to not feel auspicious by getting cash back with the purchase (that magic number of stamps is 10, just in case you wondered), then stroll back across the parking lot and get in line again. Miraculously, only two people got to skip ahead of us due to my lack of proper fundage. So now I'm looking around at all of the signs to make sure that I haven't missed something else, and I notice that the line on the OTHER side of me where they are doing driver's tests only takes Cash, Credit or Debit - NO checks!! Tag Renewal: They'll take anything. Even your firstborn, I hear. Driver's License: Cash or Checks only, please. They don't believe in taking plastic, only issuing it. Driver's Test for New License: Cash or Debit/Credit only, no checks. Apparently they are afraid of all of the sixteen year olds running around kiting bad checks. Yes, these lines are all run by the same infamous Jefferson County figure, Travis A. Hulsey. So why the disparity in options? Why in the world are you supposed to make your checks out to Travis A. Hulsey?? Why not ALDOT?? What kind of scheme is he running? Now obviously it's not his original scheme, because we all USED to make our checks out to Randy Godeke. But apparently Randy got enough cash and checks from us that he is good to go, and passed the reigns to his buddy Travis. Ah, the world will never uncover the mysteries of the ALDOT. This post was originally published on September 25, 2008 at Grasping for Objectivity in my Subjective Life. Valerie will be writing a weekly column of hometown spotlights. Which means that we want to hear from you - you need to write up your hometown and give us the tour!! Read more towards the bottom for details on how to participate. We are a small community with a lot of new exciting developments. Fultondale is located just north of Birmingham. We have a population of just about 7,000. Fultondale used to be known as Fulton Springs - it was a small mining town that lies at the southern end of the Appalachian Mountain chain. We were an old mining town back in the days. We acquired our name by combining two cities that were named Fulton Springs and Glendale – Fultondale. In the last decade we have seen tremendous growth. Colonial Promenade is the new shopping mall. I can tell you as a citizen that they couldn’t have built this fast enough. Before this was built we would have to drive to Brookwood Mall, Lakeshore Blvd., Trussville or the Galleria just to name a few places to shop. While I enjoy all of these great places, it is nice having something close. Included in our new shopping mall are Best Buy, J C Penney’s, Target (with a Star Bucks), Books A Million, so many other shops. We also have an Ashley Furniture store and a Family Christian Book store. There has been a growth of hotels and restaurants too. While growing up here we had a Dairy Creme, Hardee’s and Jack’s. Basically that’s all I remember. Now we have Burger King, WhatABurger, Taco Bell, Chic Fil A, McDonald’s, Subway , Quiznos Sub and an Arby’s. Restaurants we now enjoy also include a Chili’s, Logan’s Roadhouse, Full Moon BarBQ, Casa Fiesta and my personal favorite, Styx. On the other side of Walker’s Chapel Road we have Outback and O’Charlie’s. All great places to eat. We have had 5 hotels built. They include Hampton Inn, Holiday Inn Express, Fairfield Inn & Suites, Comfort Suites and La Quinta Inn. Some of our old neighborhoods are Lewisburg Gardens, Timber Trails, Fultondale Estates, Darlene Estates and Francis Heights. We have some new neighborhoods too. These new neighborhoods include Black Creek Station, Chapel Hills, Town Square and Fulton Springs. Along with growing retail and residential areas we also have all new parks. One of the main parks in our city is Black Creek Park and it is presently being expanded. It will eventually lead under Highway 31 to the other side where there is a Children’s park. I can’t wait for them to finish this stage to take my grandbaby to. The expansion will include a larger walking/biking trail (it is a mile right now). We have new baseball fields and a new football park for the youth of our city. Activities include baseball, football and cheerleading. These new fields are located in south Fultondale on Highway 31. They are in front of and behind our new elementary school. Yes we have a new elementary school. Our elementary school is from Kindergarten – 6th grade. Our high school is 7 – 12. We are known as the Wildcats around these parts. lol I am proud to say that not only did I graduate from Fultondale High but so did my hubs and our daughter. Our Senior Citizens also enjoy lots of activities at their Senior Citizens Center. Not only are they served a hot meal every day, but they are also planning cook outs and ice cream socials. I can tell you that this is a very busy place and they really enjoy themselves. They have a deck so they can enjoy the great weather. It is located in Black Creek Park. So they also have the Pavilion to enjoy, walks along the creek and a band stand. Every August we have Founder’s Day and it is centered around the Senior Citizens Center. Founders Day is a fun filled event to attend. We also have a new dance hall for all of our citizens to enjoy. There are dance lessons, party rooms and even entertainment shows. Elvis has been in this building folks, well an impersonator anyways. So that is a little bit about the town I call home. Hop on I-65 North and exit on Walker’s Chapel to be in the middle of all of the commercial development. You can also head North on Highway 31 and take a ride down the older part of our town. Either way you will see all of the new things our little town has to offer. We have some older restaurants along Highway 31 and our Veterans Memorial. 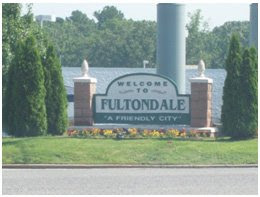 Here is the City of Fultondale’s website, click on it to see future developments. I hoped you enjoyed my hometown tour. We would love to hear about your hometown. Please contact Rachel (rachel@alabamabloggers.com) or myself (valwonderfullife@aol.com) if you are interested in posting one! We will be doing the hometown posts every Wednesday. I know that I would definitely like to hear about some of the cities of our great state that I haven’t had the opportunity to visit in person. Valerie's Bio: I am a Christian first and foremost. I love my life being a wife, mother, grandmother, sister, daughter and friend. As a child I spent my summers here in Alabama with my grandmother. I was born in California and our family moved here permanently when I was 13. This is home! I work full time for a Manufacturing Sales Agent and it's the best job! I dabble a little in graphic design and computer programming. I enjoy reading, cross stitching, knitting and painting. I started my blog so that family members all across the United States would be able to keep up with us here and see pictures of our children. I have come to love it!! To find out more about me hop over and visit me at It's A Wonderful Life. Winners of the Historical Photo Books! Alabama Secret: Spring Valley Beach Waterpark!